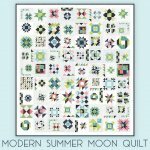 So you want to learn how to sew a quilt? Maybe you haven't touched a machine in years or you just want to go over the basics again...come join us! 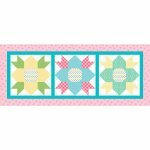 We will go over everything from cutting, the basic straight stitch, getting that perfect 1/4" seam, nifty nine-patches, fast flying geese, to perfect pinwheels. Come and pick up your monthly table runner kit and sew with us! Come and learn Lori Holt's applique method and leave with an adorable flower pillow! 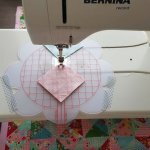 Have you ever wanted to learn foundation paper piecing? Come join us as we go through the basics and make a lovely little rose block. Come in and pick up your BOM packet and work on with with friends. Come and make this great bag for your Featherweight and matching pedal bag. 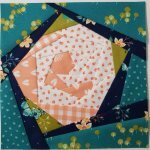 Come join us as we work on the Sweet Harmony Block of the Month. This is an awesome skill builder project so come and sew with friends and get support along the way. 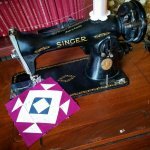 Come sew with us or let us answer your sewing & quilting questions. Come and make this fun Quilt of Valor friendly Flag Quilt from QT fabrics. 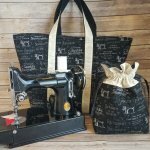 Class fee includes quilt kit, pattern, tote bag and commemorative pin. Come and and learn tips and tricks to making your very own jelly roll rug! Class fee is $15.00, materials needed include: jelly roll, jelly roll rug pattern and 50 yd roll of batting. Materials are not included in the class fee.